Despite the many hurdles he has faced till now, Simbu’s legacy still continues to make its mark, thanks to his hard work and fans. Reportedly, the multi-talented actor is on his way to become the trendsetter for Youtube videos. 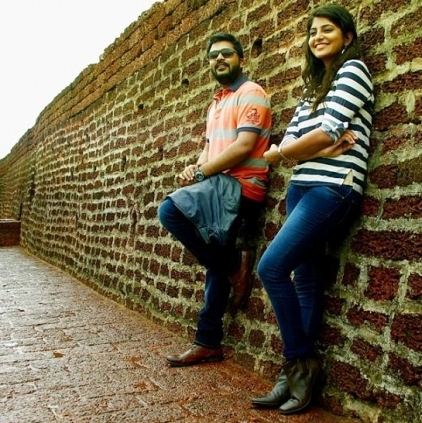 Starting from the trailer of Achcham Yenbadhu Madamaiyada to Idhu Namma Aalu’s trailer and songs, most of his recently released cine videos have managed to take Youtube by a storm. Each video of his has managed to hit a record view of more than 10 lakhs. This is a sure sign that the skies are clearing up for the handsome actor. Here’s Behindwoods wishing him continued success and happiness! People looking for online information on Achcham Yenbadhu Madamaiyada, Idhu Namma Aalu, Simbu will find this news story useful.